Atlas Labels & Packaging sells printed packaging materials and promotional products to more than 500 craft brewers, wineries, distilleries and specialty food and beverage producers nationwide. 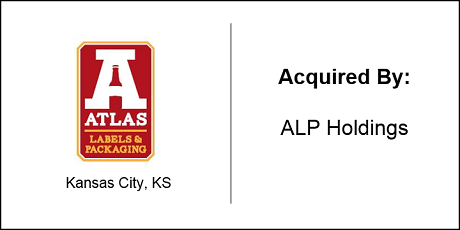 ALP Holdings, a St. Louis holding company, acquired Atlas. After two decades at Anheuser Busch, Rick Leininger became the company’s new president. Robert Drumm acquired Atlas Labels & Packaging, as a DVS Group executive client, in 2013. After four years at the helm, the business had doubled, and Robert knew it was time to let someone else take Atlas through the next growth phase. Robert contacted The DVS Group about his desire to sell Atlas. Kevin introduced Robert to the St. Louis group that became the company’s acquirer. Although, as an attorney, Robert handled many of the transaction details himself, The DVS Group advised through due diligence and in negotiations.